There are four steps involved in the cremation process and each is briefly described below. Step 1. 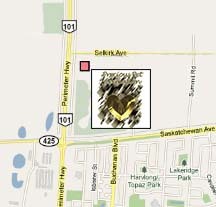 Through the use of intense heat, the body is transformed back to its basic elements. What would take many years to happen naturally is accomplished in minutes by the modern technology used in our cremation process. Once cremation has taken place, there are only purified bone fragments remaining. Step 2. 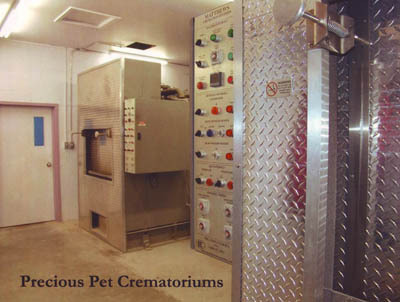 There is a cool down period of ½ to 1 hour before the cremation chamber can be opened. Step 3. Once the cool down period has passed, the unit is very carefully cleaned out and the contents are swept into a stainless steel tray. Along with the bone fragments there are sometimes other non-combustible materials such as a medical prosthesis, or metal from a collar, etc. remaining and these will be removed leaving only the bone fragments for the final step in our cremation service. Step 4. 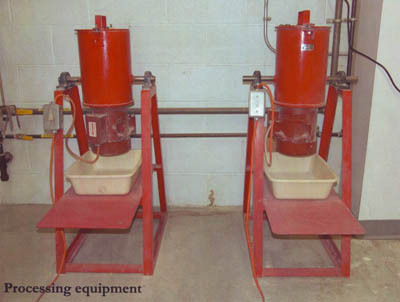 The bone fragments are further processed into a fine, sand-like texture. 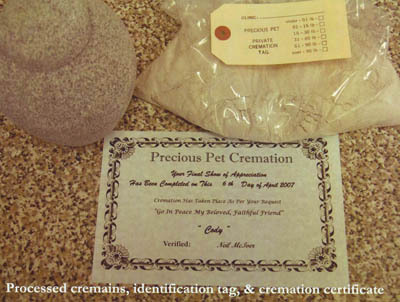 The processed remains of the family pet, now termed "cremains", are placed into a plastic bag in preparation for placement into either a ceramic urn, or other specialty urn, as selected by the pet owner. 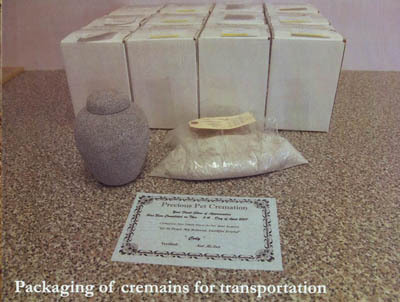 The urn is then placed in a white box along with our certificate of verification of cremation. The urn is only sealed upon request by owner.